If you received a defective Stryker hip replacement, we can help. Don't be a victim to Stryker hip implants, help is available. The best lawyers for your best interest. The MDL Plaintiffs’ Lead Counsel Committee Chair, Peter J. Flowers, of Meyers & Flowers, a Chicago-based law firm, reached a global settlement today for thousands of plaintiffs involved in multidistrict product liability litigation against Stryker Corporation and Howmedica Osteonics Corp. for complications involving the defective Stryker Modular Rejuvenate and ABG II Femoral Hip Implants. The settlement, one of the largest of its kind, will have an unlimited compensation fund and will potentially provide more than one billion dollars in restitution to the plaintiffs throughout the United States. In the world of Stryker hip recalls, our expertise is key. If you recently received a Stryker hip replacement and are experiencing negative symptoms, it’s possible you are the victim of a faulty hip prosthetic designed and constructed by medical equipment manufacturer Stryker Orthopaedics. The consequences of these flawed devices range from mild aches and pains to severe tissue infection, causing long-term health complications and almost always resulting in revision surgery to replace the implant. If this is the case, you may be entitled to compensation. At the law office of Meyers & Flowers, our Stryker hip replacement lawyers have extensive experience and powerful skill to pursue the prosecution of large medical companies such as Stryker Orthopaedics. Our portfolio includes million-dollar awards, won on behalf of clientele suffering from medical malpractice or defective medical devices. A little over a year ago, Stryker Orthopaedics agreed to a $1.4 billion dollar settlement to compensate the thousands of people who have been harmed by defects in hip replacement devices. This hard won settlement was obtained through the relentless work of many attorneys including Lead Counsel Committee Chair Peter J. Flowers, one of the senior partners at Meyers & Flowers. An outstanding Stryker hip replacement lawyer, he has been successfully representing victims of these defective hip replacement devices since 2008. The settlement was one of the largest of its kind, representing thousands of people from 39 states. The settlement is unique in that it has an unlimited fund that will measure every claimant’s injuries on an individual basis. This means that plaintiffs will receive compensation for revision surgery and any related medical problems they have been treated for up to November 3, 2014 as well as any future revisions or related medical treatment that becomes necessary for the next two years. It sends a strong message to other device manufacturers that responsibility for patient suffering and financial loss will be firmly placed upon those who are entrusted with the health of their customers. There are still many people who received the defective devices during the years 2007 to 2012 who did not have revision surgery prior to the cutoff date of November 3, 2014. This automatically disqualifies them for inclusion into this settlement agreement; however, that does not hinder their right to file or continue a lawsuit against Stryker Orthopaedics. Meyers & Flowers is proud of its contribution to this settlement which is finally providing meaningful compensation for their clients and many thousands of others. New cases are being filed seeking damages for revision surgery, treatment for infection related to the device or the revision surgery, as well as conditions and events that are directly related to Stryker hip replacement revision surgery. Wondering if you still have a Stryker hip replacement case? A top Stryker hip replacement lawyer can demystify the process and advise you on whether or not you have a case. 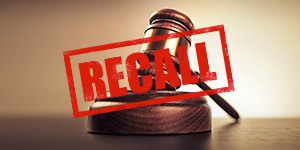 If you have received one of the recalled devices, you should protect your right to demand compensation by seeing one of our Stryker lawsuit attorneys. There are time limitations on that must be met and documentation must be obtained concerning your implant. Consulting an experienced attorney is your best chance of obtaining compensation for current or future injuries caused by failing Stryker hip replacement implants. The information on the two implant models described below is intended to provide an overview of the flaws and problems connected with the devices that are the subject of the lawsuits and current settlement. Calling for an appointment after you are familiar with the problem will provide a structured way to get all of your questions answered concerning your case and what you can expect to be compensated for. Subsequent to victim complaints, two Stryker hip implant models have been recalled: the Rejuvenate and the ABG II. Both models incorporate a flaw in which two metal components rub against each other, causing corrosion and fretting. This releases shards of metal and toxins into the patient’s bloodstream, creating a condition known as metallosis – an adverse tissue reaction to metals in the body. Metallosis can cause painful swelling, limited mobility, pseudotumors, hip joint failure and other serious conditions. In addition, the grinding components in the device can also cause the implant to loosen and fail completely. This can result in a fracturing of the bone around the implant. If you or a loved one is suffering from adverse effects after a Stryker hip implant, the attorneys at Meyers & Flowers may be able to help. Please take our free case analysis to determine if you have a case. The Stryker hip replacements now under scrutiny contain an interchangeable neck component. Because this component is interchangeable and not a permanent fixture, the connection between the neck and the femoral stem has the potential to grind, releasing shards of metal and toxic chemicals into the bloodstream. This creates what is known as metallosis – an adverse tissue reaction to metals in the body. Metallosis can cause painful swelling, limited mobility, pseudotumors, hip joint failure and other serious conditions. In addition, the grinding components in the device can also cause the implant to loosen and fail completely. This can result in a fracturing of the bone around the implant. Were you previously turned away? If you have already attempted to take legal action for problems with a Stryker Rejuvenate or ABG II hip implant and been turned away, you may still have a case. The primary hip joint in both of these models does not create metallic corrosion and fretting, since it is made of ceramic. Because of this, many patients seeking legal counsel for issues with this device were initially turned away. Since that time it has come to light that the femoral neck and the hip stem are the components that fret and corrode, causing metal fragments to come lose. This inherent flaw in these two implant models is irrefutable, giving you a second chance at the compensation you deserve. If you have received a Stryker hip implant and have experienced any adverse effects, you may have a case. 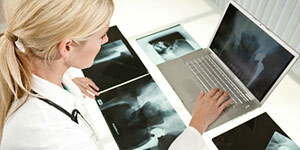 Please contact our office to speak with a Stryker Hip Implant Attorney. It will cost you nothing to find out what might be done in your situation and we collect no fees until we win your case.